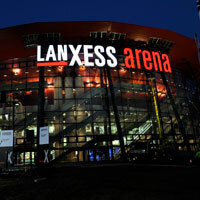 EHF Marketing is proud to announce that Lanxess Arena will stage the 2009/10 Final Four. The Men’s EHF Champions League will go through a reform for the 2009/10 season. The stakeholders of the competition – clubs, media and advertising partners, EHF and EHF Marketing – have been working closely together during the last seasons to keep the competition on a path of fast development. With the clear intention to take the EHF Men’s Champions League to the next level, the Executive Committee of the EHF has approved the application of an adjusted playing system on 29 March 2009. This new format involves reducing the number of teams from the current 32 to 24 with a Last 16 round, Quarterfinal phase and a Final Four weekend to conclude the Men’s CL season. Following months of careful negotiations with possible venues, EHF Marketing is proud to announce that Lanxess Arena will stage the 2009/10 Final Four. The event in Cologne, Germany, scheduled to take place on 29-30 May 2010 promises an unprecedented highlight closing the upcoming CL season. The Lanxess Arena of Cologne is a sanctuary of handball. The venue of the 2007 World Championship Final is a stadium with a capacity for almost 20,000 handball fans. Without a doubt: this will be the perfect setting for a premiere event in the history of the top club competition of handball. In addition to the largest handball arena in Europe, the location of the million-resident metropolis in the geographical centre of Europe, the excellent integration via the international transportation network, as well as for their very cosmopolitan and inspirational manner characterised by its citizens, the city of Cologne was the ideal venue for the Final Four. Ralf Bernd Assenmacher, Chairman of the Board of the Arena Management GmbH. The tickets for the EHF Champions League Final Four will go on sale at the beginning of September 2009. All information to the Final Four in Cologne will be published within the framework of the press conference in the LANXESS arena in September. The registration process for the 2009/10 EHF CL season is in its final phase. In a next step the EHF and EHF Marketing will elaborate all details on a technical level regarding the Final Four.